Posted on November 12, 2018 at 2:20 pm. KAHUNA Casino might have only been around a few weeks, but it is already on the map by dishing up big winners. The Australian-friendly online casino confirmed to OnlineCasinoSite.com that a player had won 13720 times his initial stake, which netted them over AUD $20,000 on an Evolution live dealer game. Thew winning player, known as Eskild, is based in Norway and was playing the live dealer game Dream Catcher at Kahuna Casino when he hit the jackpot on the game, which could be described as a hybrid of roulette and the big wheel. A source at Kahuna Casino tells us Eskild is a regular low limit slots player, but on Saturday, out of the blue tried his hand in the live dealer section. 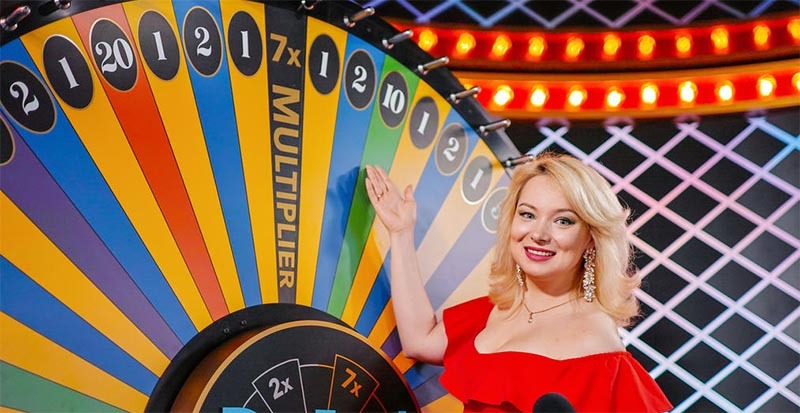 A popular new live dealer game, Dream Catcher has a multiplier feature, which Eskild triggered when the wheel fell three times in a row on the highest multiplier and then on the 40x win slot of the wheel on which he had bet 10 Kroners, which roughly equals 1 Euro (AUD $1.52). This perfect storm created a 137 200 NOK win for the elated player and shows, according to a Kahuna Casino representative, that live dealer casino games are not just for blackjack and roulette players. “This win demonstrated that the Live Dealer studio at Kahuna Casino is not only for Blackjack or Roulette players and even small stakes can sometimes generate massive wins,” they said. New players who want to try the game or others at Kahuna Casino can claim a $4000 welcome package which also comes with 200 free spins. Aside from many Live Dealer casino games, Kahuna Casino offers over 1000 slots from top game studios.